But actually doing the things, and taking the first step, can feel hella overwhelming when the media’s all “THE STOCK MARKET!” and your parents (and me) are all “But saving for retirement though,” and something about credit scores was in there too? That’s where Broke Millennial comes in to save the day with the choose-your-own-adventure guide to money we’ve all been waiting for. Who – or what – is Broke Millennial? 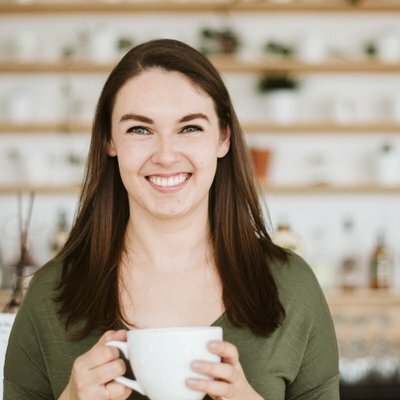 Broke Millennial is an epic blog founded by Erin Lowry, a millennial personal finance expert who earned (some of) her street cred by making it in NYC while working as a page on late-night TV, and supplementing her income with babysitting and barista-ing. Yeah. I know. Side hustle game strong. Since then, she’s turned a “useless” degree into an epic career helping other millennials manage their money, and as of yesterday, she’s an official published author! I mean OK, she was before yesterday, but her book is now available on Amazon, and I’m literally holding it in my hand as we speak! And I’m planning on giving my copy away, because I already ordered a second one. So the challenge I find with a lot of books is that you need to do Chapter X before you start Chapter Y. Like, you need to learn how to get a mortgage, before you can pay off your mortgage. Or you need to start saving for retirement before you can learn how to invest that money. 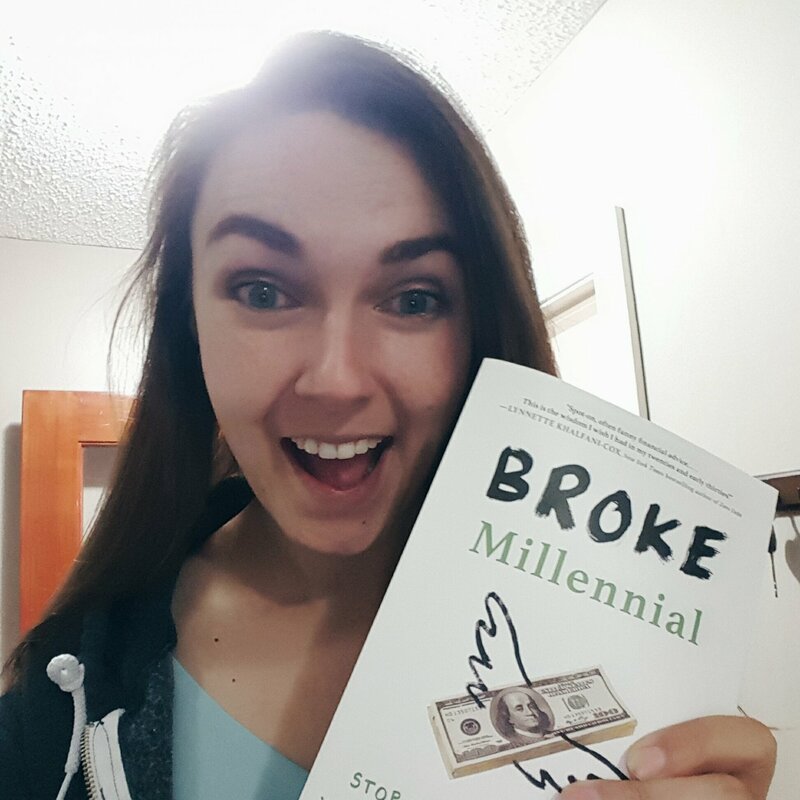 But when you start Broke Millennial: Stop Scraping By and Get Your Financial Life Together, you only have three chapters to go before you get to fixing the issues you actually have with money – and Erin even encourages you to pop around to the chapters that are relevant to you. Is Money a Tinder Date or Marriage Material? Do You Have a Gold Star in Personal Finance? Yeah, I’m so here for this. You Get a Financial Gold Star! As you read through, when you find a category that accurately describes your situation, Erin will suggest which chapters of the book you should start with to… you know… get your financial life together. When I read through, I breathed an admittedly giant sigh of relief that I checked off most of the boxes in the “You Went Viral” category, but Erin still has chapter suggestions for me. What’s next on my money to-do list? Even though I’m saving aggressively and do net worth updates every month, I’ve still got room to up my financial game. Specifically, for people in the “You Went Viral” camp, Erin suggests things like considering whether it’s time to see a financial planner (give me like a year, Sandi Martin, and I’m all yours) and getting financially naked with your partner. She’s got chapters to handle those two things, along with negotiating a higher salary and buying a home too. And if you do end up more in the “Parents’ Basement” category, she recommends you start with the basics – like getting rid of your debt, and getting a handle on your budget. Both of which yes, also have specific chapters to help you do them! There aren’t many books that are well-written, accessible, and don’t require a full-on commitment to learn everything, all at once. But Broke Millennial hits all of those marks, and is fun af to boot. Whether you’re a newbie personal finance-er, or a dyed-in-the-wool money nerd, you will love this book. And I’m giving away my copy, fo’ free! I’ve got an email out to the winner, and unless they’re not cool giving their address to some sketchy lady on the internet, it’s spoken for! Thank you to everyone who entered, and I hope you guys all tackle your finances like the champions you are. And remember: you can still buy your very own copy of Broke Millennial: Stop Scraping By and Get Your Financial Life Together on Amazon now! Oh man, this book sounds excellent. I most want to improve my student debt situation so that maybe someday my partner and I can buy a house! Great post! I’d like to improve my long-term vs short/medium-term savings strategies. I’ve been so excited for this book to come out! The number one thing I’d like to improve in my financial life… probably complete financial independence from my parents and feeling secure (a big part of that would be getting my emergency fund to a good place). I want to finally find the courage to start investing, to earn an interest rate that at least keeps up with inflation. Cool! I’d like to improve my emergency fund savings. Sounds like a great read! For now, I need to focus on diversifying my income, long term. It sounds like a fun way to choose your own adventure! The only investing I do right now is make regular monthly contributions to my IRA and a taxable account with Betterment, but I’d like to go even more low-fee by using Vanguard but I’m just not sure how it works at this point. I’m the worst at money lol. Okay this book sounds absolutely amazing, and if I don’t win I will buy a copy for sure. I’m not in my parents basement but I do need help getting rid of my debt & saving at the same time? eep! Oh, yay! I definitely want to keep learning about balancing competing priorities! I really want to improve my net worth situation. Specifically, I want to pay off all of my student debt as quickly as possible! I’ve been creeping your blog for awhile now from the shadows and have already learned a lot. SInce March I’ve been tracking my spending and it is definitely helping me get a handle on saving and cracking down on unnecessary spending. My biggest goal right now is to get my husband more involved in the budgeting/saving process and increase our savings rate to fully fund our emergency fund. I most want to increase my savings- for fun, for long term potential plans, and for retirement, including figuring out what retirement savings tools are the best for me. Great post Des! The one (well top one of a long list) thing I most want to improve in my financial life is how to financially plan and budget when you don’t make steady income. As an entrepreneur I can’t always predict or plan how much I’ll make, and I could some sound advice on navigating that! Would LOVE to win this book! I would like to focus on “getting financially naked with your partner” and getting on the same page about financial issues including savings and paying down debt. I think my biggest financial goal is to hit my Savings goal each month. I’m good at keeping each of my spending buckets under-budget but extra expenses (like over charges on my cell plan… grrr!) are putting me under my target for savings allocations. I have been tracking every penny for 2 years now and it has helped me pay off 50% of my student loans even while living in South America on a lower salary than I would be receiving in Canada. I am moving to Canada in a few months with my company so I want to improve on creating more realistic and fool proof budgets as things cost much more in the great white north. I want to diversify my income with something that interests me and save 100% of that income to pay off my loan and diversify my savings; as of right now it is all in one account and it is not clear what is for retirement, a rainy day, emergency, etc. I definitely want to start investing more! Right now my fiance and I are saving up for our wedding, but after that, we hope to start contributing a larger portion of our savings into investments. My biggest financial goal is to buy a house, as a single, that isn’t going to make me house poor. My challenge right now is buy the starter home or wait and buy the potentially forever home of its only about a $50,000 difference between the two! 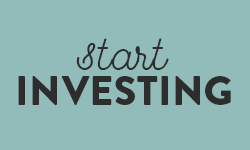 Learning to invest and making regular contributions to my RRSP. Hi Desirae! I just graduated from Optometry school and have a tonnnnn of student loans! I really want to get the financial aspects of my life on track so I can feel comfortable purchasing a house, a new car, have kids, etc. etc. all within the next 10 years or less! I would love to use your book as a guide! :o) Thanks! Hi Des! I’m goal-ing toward buying a reasonable house in the treacherous DC market: so saving for a 3+% down payment, 10+k in closing costs, $5k for basic moving and furnishing expenses, while not touching our emergency funds in the meantime. I’ve saved a lot so far…so much that we could probably manage buying now, but it would mean being totally and dangerously cash-poor. I would love to improve my financial preparedness… Is that a word? It seems every time I’m financially ahead I get a setback which doesn’t completely screw me over but puts me back at 0. And to push my ability to eliminate my revolving credit! I think/know I need to do work on actively saving! I really want to get better at figuring out how to save for multiple goals. I’m kind of an all or nothing type of person so I usually focus completely on one savings goal while ignoring the others. I’ll read up on some other posts of yours! So happy for Erin. Broke Millennial is one of the first personal finance blogs I started reading and I love her personal, friendly tone in writing. The one thing I most want to improve in my financial life is to increase my income. I have a 9-5 but it doesn’t pay very well. I need to find a “side hustle” but not sure what it should be yet. Reaching all the goals on my vision board which obviously involves money:starting a dance studio, having more time to do Youtube videos, fitness goals, dance goals, work on stand-up comedy routines, buying a rental property, finding a girlfriend, etc…. I know I just have to keep on grinding, RAWR! This sounds like a great read… and I’d like to improve my down payment fund. This book sounds amazing! I’d like to save enough money so my husband and I can build our dream home (thank you low cost of living) in 5-6 years. We’re doing everything we can to make it happen! I’m dying to learn more about investing. I’m pretty good at saving, but now I want to learn how to put that money to work! This book sounds good! I really want to work on my investments and learn how to invest! I’ve got the saving thing down pat, and a budget that usually works for me, but the investing part is still a bit of a mystery for me. Working towards saving 60% of my net income. Currently at 43.3%. There is always room for improvement. Just cut my insurance here in BC saving $40 dollars a month, phone bill down to $65 a month (saving $540 a year) and soon will have no car payments which will get me to the 60% mark. I need to get my emergency fund up to a amount that is comfortable, that is my next goal. Working on building up my emergency fund! I WANT IT!!! 😉 Just kidding! Thank you so much for this incredibly flattering review! Can’t wait to see who wins! I’m working on building my emergency fund and zeroing out my debt – first an foremost refit card debt. It’s not bad, objectively, but I still hate it and my income is meh and I live in Vancouver so… it’s gotta go, and fast. In my financial goals, I’d like to work on not having a scarcity mindset. Now that we have money saved up for emergencies and automated retirement savings, it’d be nice to feel okay spending money on myself. I’d really like to improve the amount of money that goes to fixed expenses each month. Things like utilities and insurance. Cutting those would free up more money for fun stuff. Hey Des! I want to find a healthy balance between saving and spending. 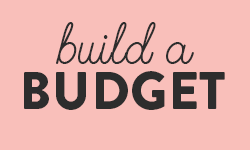 I’m doing your Quick Budget Fix (I’m quite a bit behind right now, I’ll be honest, but I plan on going through them all by the end of the next week or so!) but after paying off all my debts, I’ve ranged from spending a bunch or saving more than I should and putting myself in tight spots. Example? This last month I saved $1800+ into my 401k, $1000 into my wedding fund and then $200 in an emergency fund, and now I’m like, oh crap, I have bills to pay and I put all my money into funds I DON’T WANT TO TOUCH. So this month I’m probably not going to save much to go pay the bills and then next month I’ll feel guilty and try to make up for my lack of savings by over saving and the vicious cycle will continue! Thanks for doing this giveaway! I would most like to get rid of the debt that grew while I was unemployed, so I can do fun things like save for retirement and travel! I want to learn how to not overspend. I never seem to be able to get ahead, but have a reasonably suitable income. I want to learn how to control my finances better so I can buy a house and truly afford to live in it. 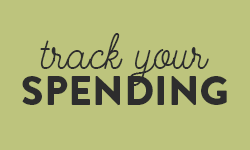 My biggest financial goal is to actually track my spending! I’ll do it for a for weeks or months and then then for the next little bit I’ll find that I have no idea where my money is going. Being more consistent will really help me in the long run. This book sounds great! I’d love to be done with my student debt by the end of this year! I heard about this book on So Money podcast last Monday and I want to get my hands on it! My biggest money goal right now is…GET MY EMERGENCY FUND strong and also develop a strategy for “low season” saving since my work varies seasonally! This sounds like an incredible book! My financial goal right now is to optimize my short-term and long-term savings strategies! This book sounds awesome!! I really want to learn how to balance between saving and investing. I I’m still paying off student debt, so trying to allocate the small amount of extra money I have is challenging. 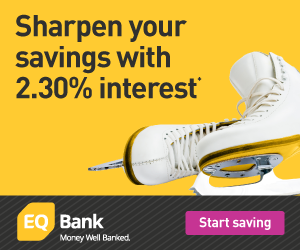 I want to improve my savings rate. It definitely could be better. Great post! I’d like to improve my budgeting skills so that I can set future money goals and start saving with a concrete goal in mind (i.e. with numbers and set timelines). Sticking to a budget after combining households with a free spender. I want to better understand managing debt while also trying to build and invest in the non-money parts of life. Like I have debt that I want to pay off but that is going to take a while regardless – so in the mean time I vaccillate between austerity (no eating out, depressing basements, limited concerts and movies etc.) and a more comfortable existence. So like, when the debt is big and long, how do you decide how much to save and pay off while also trying to build a life that you want. I want to improve my balancing act between saving and investing (and learn more about investing while I’m at it)! I’m also another person still paying off my student debt, which a large portion of my income is going towards paying down, in order to decrease the length of time it’s hanging over my head! I want to figure out what my next step is after paying off debt – like I have a good savings, but what on EARTH should I be doing for retirement other than my work’s 401K? It’s all so confusing. And I feel like I should invest in real estate but I also really don’t want too – like what other ‘passive income’ options should I be looking at? I want to finish paying off my student loan!! I want to build more savings and wealth so that I have more financial freedom. I would really like to learn more ways on how to start investing my hard earned money. I’m especially interested in learning more about ETFs and using the magic of compound interest rates to make smart investment decisions while minimizing risks. Also, I want to let you know that I’m thoroughly impressed with your blog and have been enjoying all the contents. Your work is very inspiring. Thanks for all the hard work! I want to pay down my debt and save for purchasing a home. With my laser focus on saving and investing, some times I forget that it is fine to spend some money once in a while on the things that are worthwhile. I would like to pay off my credit card debt! I maxed out my first credit card during law school when my laptop died (in the middle of an assignment, and I couldn’t get anything off the hard drive – literally dead), and then ran it up to the max after it took almost 3 months after graduation to find a job. Womp womp. I had been paying the bill dutifully for the last 3 years, making more than the minimum payment, but hardly making a dent. I FINALLY decided to open a balance transfer card (No interest for 21 months! ), and have been making payments every payday. But still, I haaaaate how much money I have wasted for so long, and I want this debt gone ASAP. It’s about time to start thinking about buying a place to put down some roots, and that extra money would be great to funnel into a down payment fund. Now that I’ve paid off my debts, I feel kind of lost with what to do with my money now. I’ve been saving it in a few different savings accounts, but I’m feeling overwhelmed about all the information that is out there about investments and that type of stuff! I need to figure out how to pay off my student loans as quickly as possible while still enjoying life and also saving up for retirement. I am hoping to reduce/kill my student loan debt. I have about 18500 left and my goal is to crush it in 15 months and use the book for the next step in my financial life! I think this would be a good book for my step daughter and her BFF as they are 21-somethings and completely at sea about all things financial and I don’t want them to be like me, pushing 50, and scrambling. I want to change my financial life by saving 40 percent of what I make per month!